Places Please is a series of mini-lessons focused on biographies of professional theater artists. 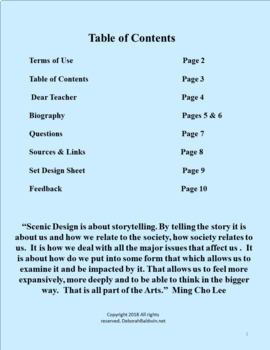 Suitable for middle grade and high school students, the biographies include a long description of the artist's journey to success in their field, trivia, quotes and suggested video clips. What's more: Each lesson is tailored to the specific artist and his or her strengths so the students can learn about the artist in a memorable way. Purchase the bundle and save 20%!! 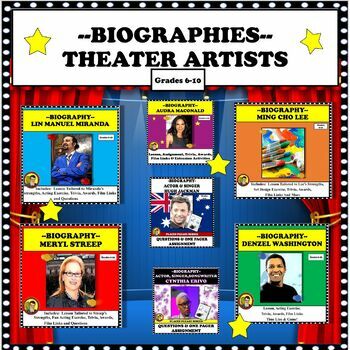 Each biography can be a stand alone lesson perfect for a substitute teacher, an emergency lesson or simply a way to learn more about the professional world of theater. Note: This is a growing bundle. 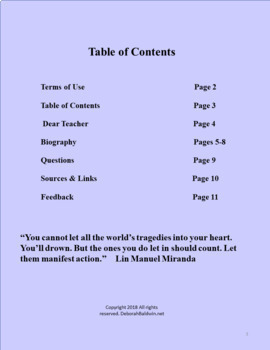 It includes 5 biographies (Miranda, Streep, Lee Washington and McDonald) in a newspaper format. Created by award winning veteran drama teacher of 38 years, Places Please is a must for your files. "Love this unit! What a great way for students to work together!"